Wednesday, October 17th. 6:30 p.m. -8:00 p.m. 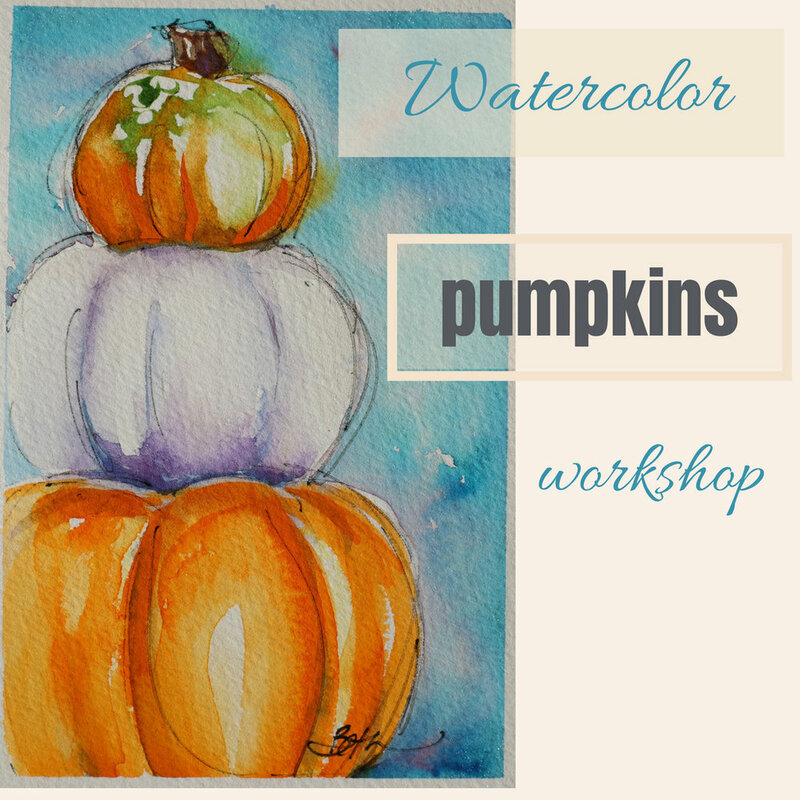 I am delighted to bring you this workshop where the subject of fall pumpkins is used to introduce or build on the wonderful medium of watercolors. Watercolor has a unique personality. I have been exploring this medium for over 11 years. It still surprises me and excites me. In this 3 hour workshop I will teach you washes and techniques to interpret this garden delight. I will guide you through the process with demos and then time for you to create your own three separate notecards. Your experience will equip you to move forward with watercolors to paint more of these fun pumpkins. No experience is required. It will be for beginners and intermediate watercolorists. Come as you are with curiosity and a desire to learn more about the wonderful medium of watercolors. I hope you will join me for this creative opportunity. arches 140# cold press paper 5 sheets, 4" x 6"
foam board, acrylic board or gator board, approximately 8" x 10"